These are incredibly delicious and so versatile. I make them all the time whether its with a gorgeous roast chicken or just as a snack. 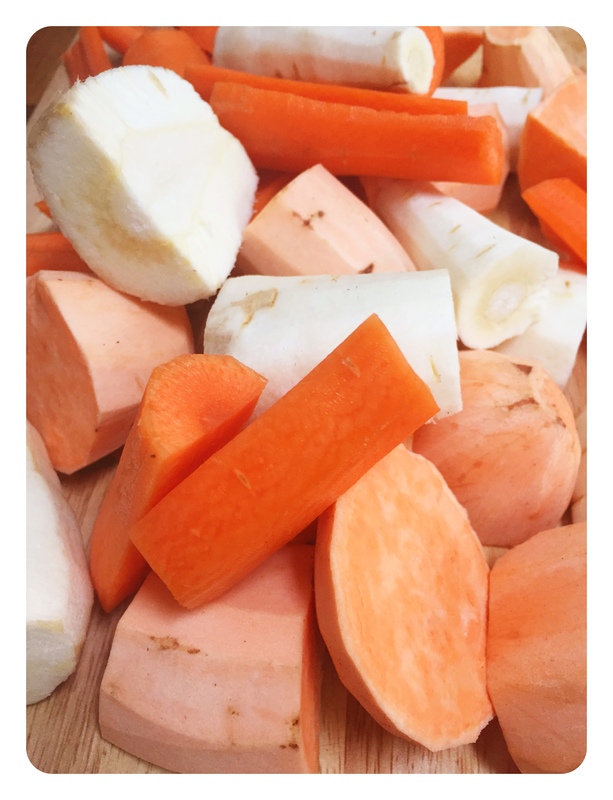 You can use any combination of root vegetables or just one kind depending what you feel like, but this medley is gorgeous together and goes with just about anything. They also make great leftovers as a breakfast hash, added to a salad or reheated in the oven the next night. Peel and chop your veg into your desired size. I wanted mine to be like regular roast potato shapes so I left them quite big and chunky. Parboil them all in a big pot of salted boiling water for about 7 minutes. 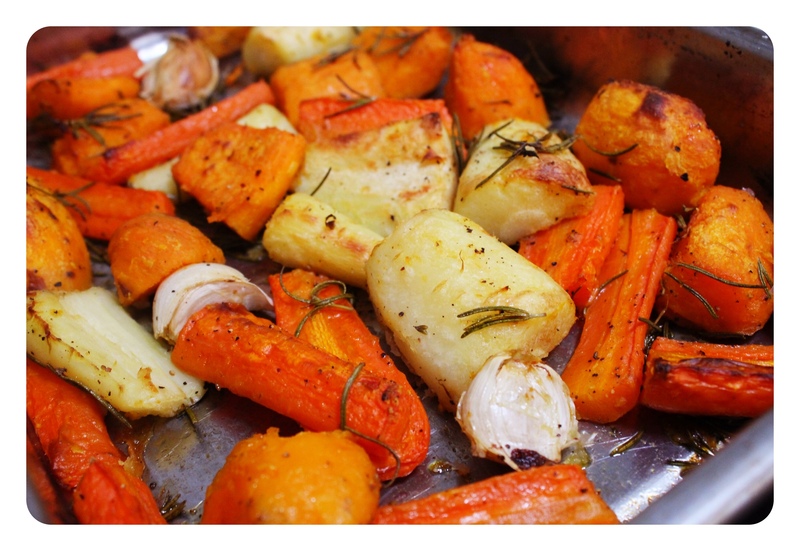 Then strain them and add the carrots and parsnips straight to your roasting dish, leaving the sweet potatoes in the colander. Shake the colander and let them bounce around, scuffing the edges so they’re nice and crumbly on the outside. Then add them to the roasting dish with the others. 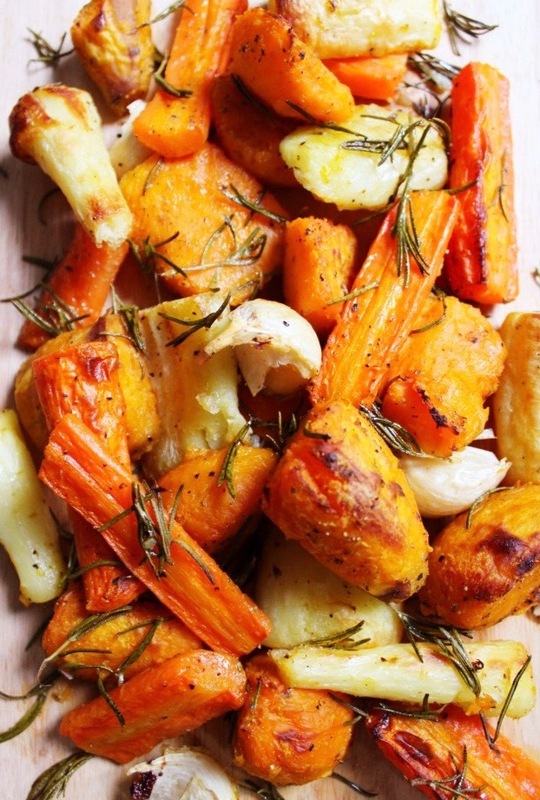 Drizzle with melted coconut oil and scatter the rosemary all over. Throw in your garlic cloves, skin on, and season with salt and pepper. 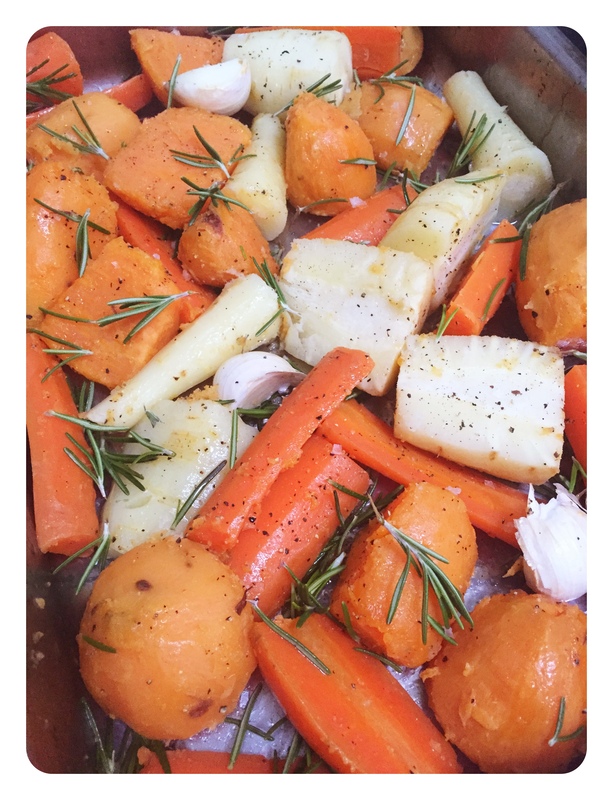 Toss everything around and roast at 220’C for about 45 minutes, or until nicely browned and crispy. Why are you so fond of coconut oil in your recipes? Doesn’t it have muchore saturated fats than olive oil? Loads of reasons! Take a look in my pantry section!